The days are getting longer, the sun is getting warmer, and families are gathering for summer weekends on the water. 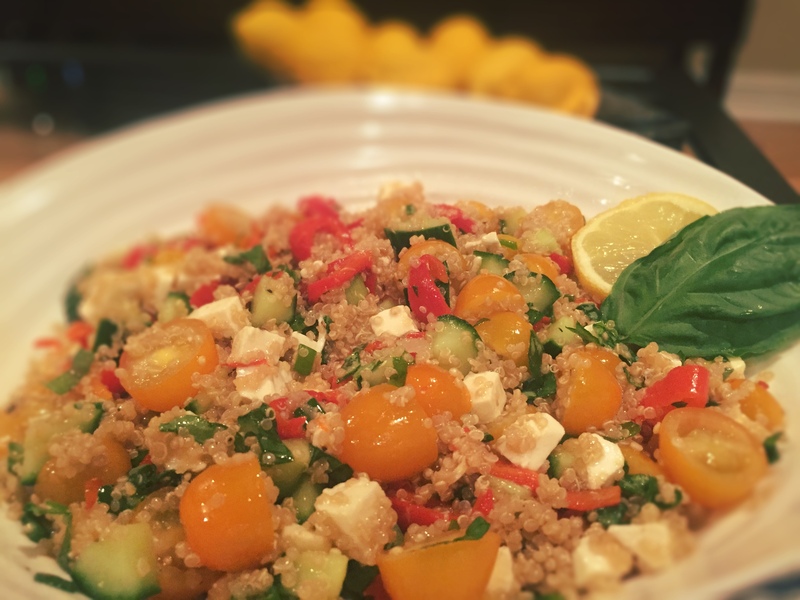 Embrace the fresh summer flavors with this healthy dish that can be made in advance. Playing with the classic flavors of a Caprese Salad – tomatoes, basil, & mozzarella, this dish is enhanced with the addition of roasted red peppers, cucumber and a fresh lemon juice dressing. 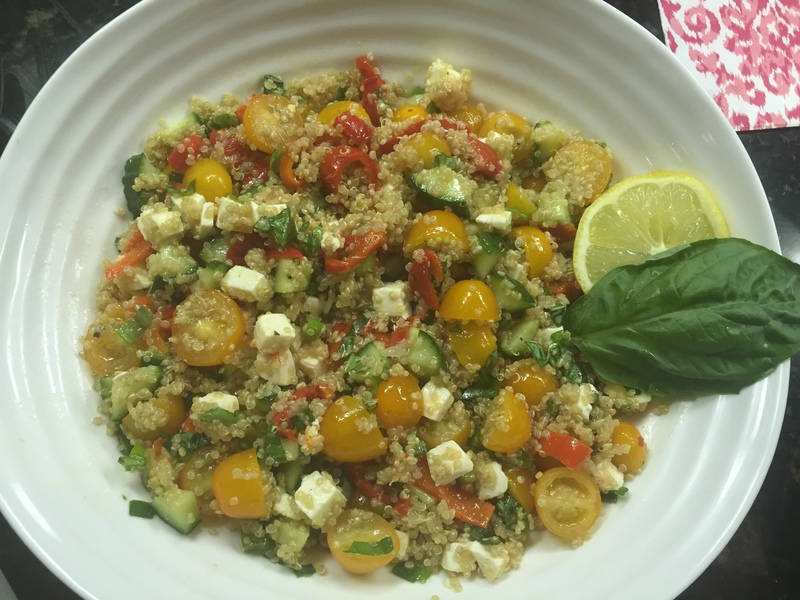 The salad could be served with no grains, but the quinoa adds not only substance for a crowd but a nice slightly nutty flavor to balance the vegetables and the acidity of the dressing. I would like to note that I tried a new product from my home state of Michigan in this recipe. My friend Erin gave me M Salt while I was home last week. As stated on the company’s website, “Michigan Salted announces M SALT, a blend of salt, herbs and spices mixed to perfection for that taste you’ll love time and time again.” I used it on the red peppers and it really enhanced the taste of them. I can’t wait to grill with it next! Thank you again, Erin! 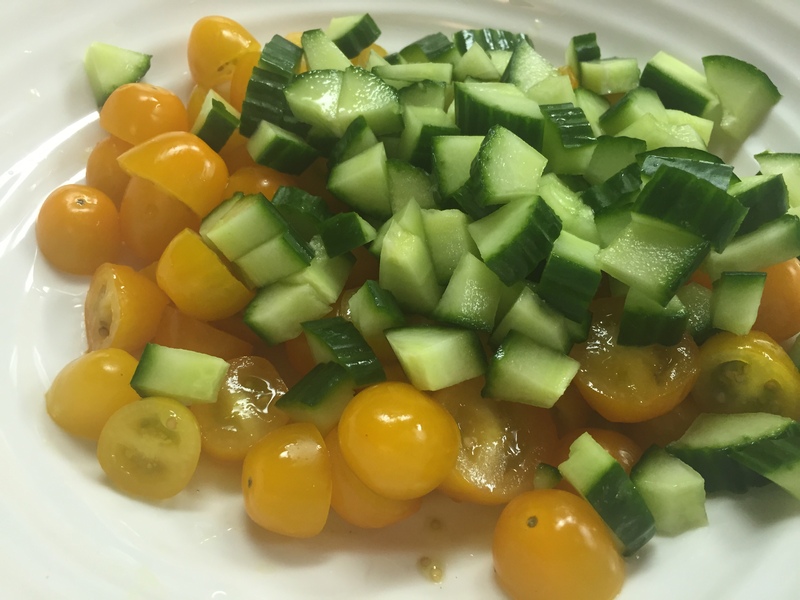 Chop up the cucumber, cherry tomatoes, and green onions and place in a large bowl. 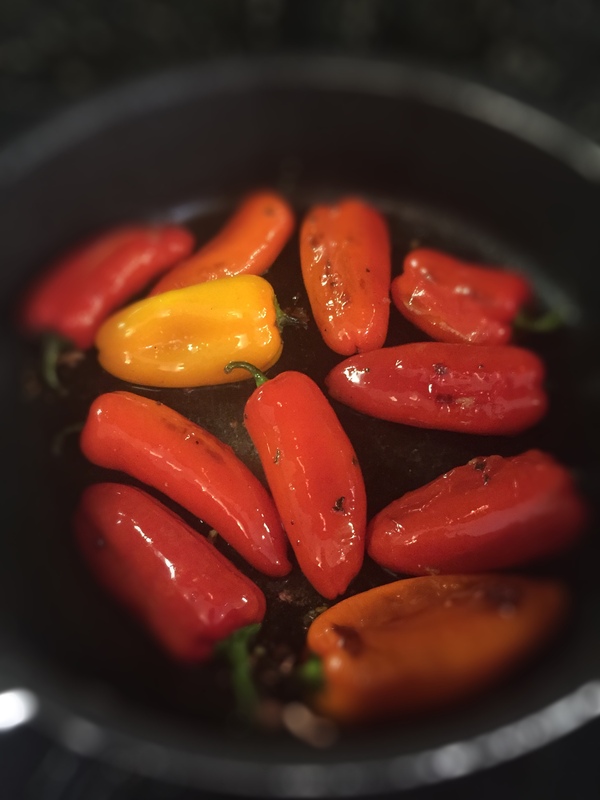 In a sauté pan, heat up a small amount of Extra Virgin Olive Oil over medium to high heat and then toss in the small red peppers. Keep a close eye on them – once the skins starts to blister, flip them over and season with the M Salt. Once the skins are slightly blistered on all sides, pull of the heat and set aside. When cool enough to handle, chop and toss in the bowl with the other vegetables. 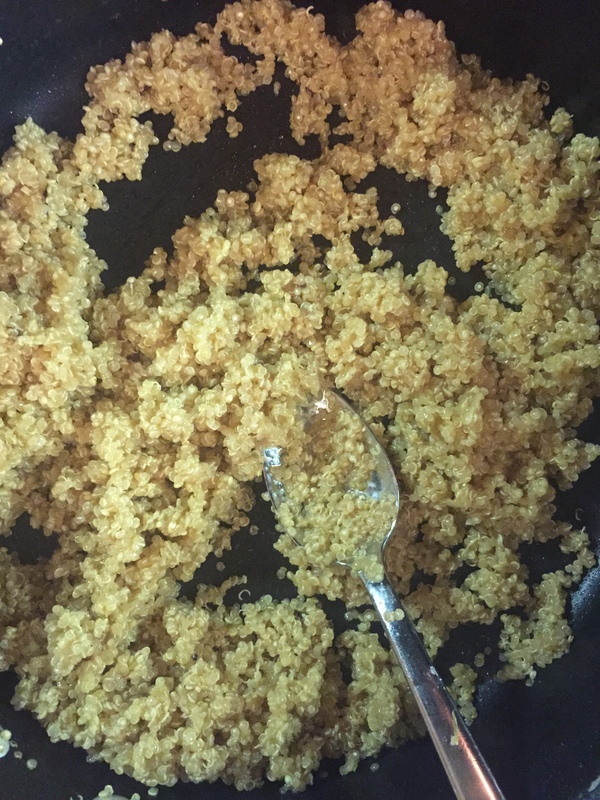 Cook the quinoa according to the instructions on the box, and then mix in with the vegetables. Whisk together the olive oil, lemon juice of 1 1/2 lemons, Dijon, salt & pepper until the oil emulsifies into the dressing. Pour over the salad and mix well. 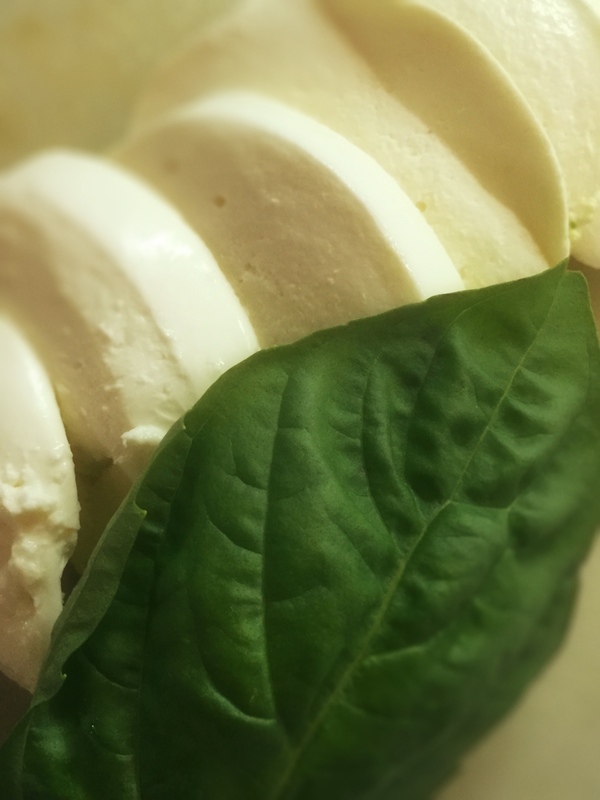 Cut up the fresh mozzarella into bite size pieces, and mix in the bowl. Pick several fresh basil leaves, and stack them on top of each other. Roll them up into a log, and then cut the log on a perpendicular angle to get long strips of the basil. Mix into the salad. Season the salad with salt & pepper and garnish with basil leaves and slices of lemon. Serve either warm or at room temperature. A refreshing sauvignon blanc, such as Whitehaven, goes really well with this summer salad.